This week, we learned all about Mammals. We learned the mammals are warm blooded, breathe oxygen from the air, and give birth to their babies. We learned that a Blue Whale is the largest animal in the world! We also learned that a Duck Billed Platypus is also a mammal, even though it lays eggs! 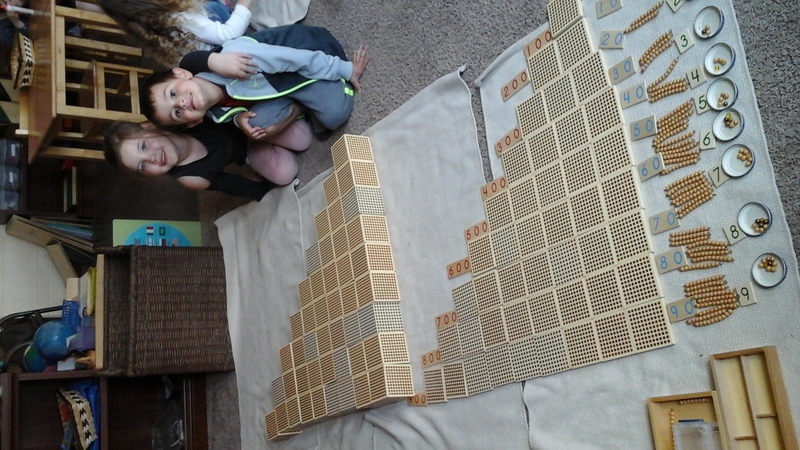 Working together to complete the 45 Layout! 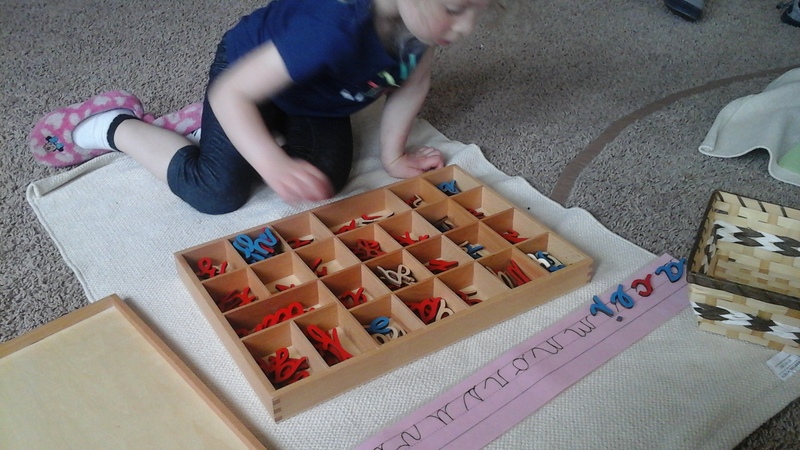 This material aides the child in understanding how to count by 1’s, 10’s , 100’s, and 1000’s. 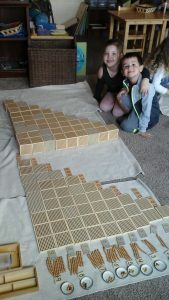 Later on, the child will take this knowledge and compose numbers into the 1000’s using the Golden Beads. Working together on the fabric box! 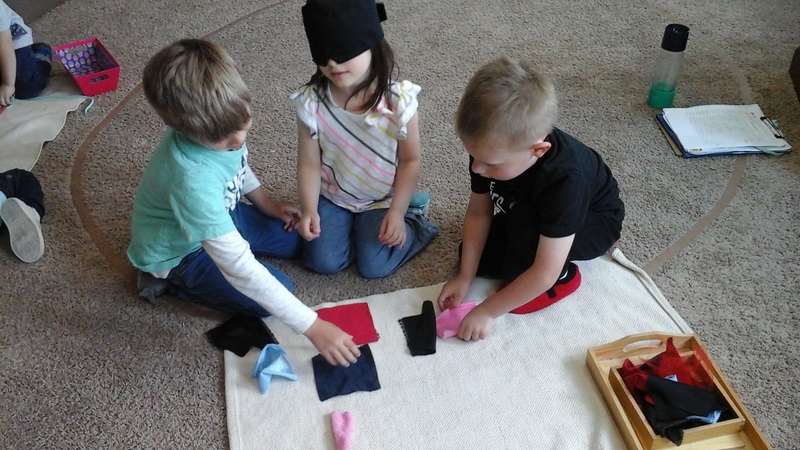 When working on this material, one child is blindfolded and tries to match the different fabrics by touch! This aides the child in developing their sense of touch! Matching the letters of the Moveable Alphabet to the printed cursive letters on paper! Working on the Musical Alphabet and the names of the notes on the Trebel Clef staff! 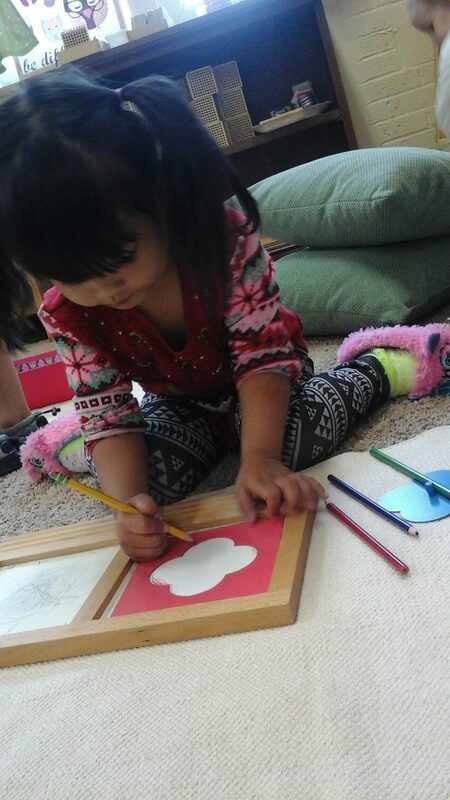 This little one is so focused on tracing her quatrefoil! 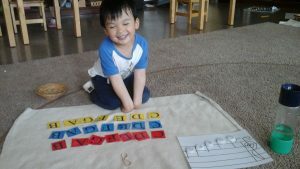 This material aides the child in steadying their hand for Handwriting!